Une Six et une Dix at the Sea Shanty. 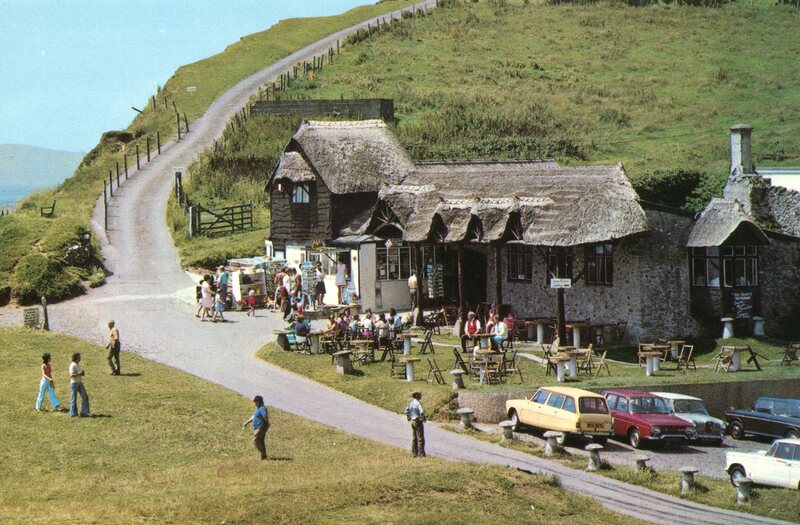 This is a postcard of The Sea Shanty at Briscombe. Now, what’s interesting to me are those two little French imports parked side by side in the car park. I’m very partial to both Citroens and Renaults and here we have a Citroen Ami 8 Break and a Renault 10 (which at the time we pronounced Ren-all-T).